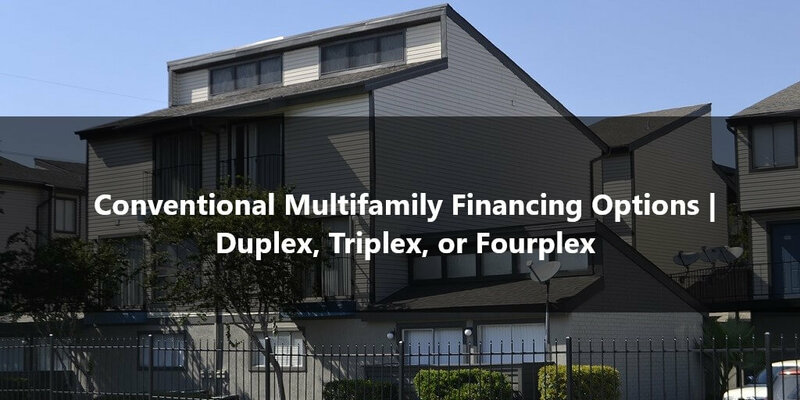 Looking for multifamily financing for a duplex, triplex, or fourplex? Multifamily financing options vary by lender by minimum credit score requirements and down payment options. Buying a multi-unit with a conventional loan can be a great investment because of the cash flow. The down payment for a multi-unit conventional loan is more than FHA’s 3.5% down payment option for multi-units, but guidelines for appraisals for conventional loans are more lenient on property condition and allow non-owner occupied. Having a multi-unit with multiple tenants in one location and living in the same building with your tenants can make being a landlord more manageable. As an investment purchase option, multi-units can make being a landlord more manageable for property managers or managing the multi-unit on your own. Down payment options vary based on the property usage – principal residence and investment. 2 unit purchase for a principal residence maximum loan-value is 85% and down payment is 15%. 3-4 unit purchase for a principal residence maximum loan-to-value is 80% and down payment is 20%. There is a conventional loan program that allows you to put a minimum of 5% down payment for 1-4 units. 2-4 units for an investment purchase maximum loan-to-value is 75% and down payment is 25% for Fannie Mae and Freddie Mac. There are wholesale portfolio lending loan programs that allow lower down payment options for 2-4 unit properties. Cash out for a principal residence for a 2-4 unit maximum loan to value is 75%. Cash out for an investment property for a 2-4 unit maximum loan to value is 70%. Reserves are measured by dividing the principal, interest, taxes, and insurance (PITI) by the liquid assets. Reserves are required when buying a multi-unit. The minimum required reserves are 6 months, but the underwriting findings will vary based on a your credit, capacity and collateral of the property. FHA requires a minimum of 3 months reserves for 3-4 unit properties. A Loan Originator can run the Automated Underwriting System (AUS) during the pre-approval process in order to see the maximum debt-income-ratios, purchase price, maximum mortgage payment, and maximum loan-to-value. Every borrower’s situation is different and some lenders may have a debt-to-income cap. Nationwide Mortgage & Realty, LLC will go off Fannie Mae and Freddie Mac’s Automated Underwriting System’s findings. We also have investment programs that allow financing for 2-4 units that do not take personal debt-income-ratios. When qualifying for the property, the debt-service coverage ratios are used. Debt service coverage ratios are calculated by dividing the mortgage payment (PITI) by rent. Documentation must be obtained to calculate the monthly rental income for qualifying purposes and will vary depending on the prior year’s tax returns and rental history. Current lease agreements if they are available.